Property Info: 3 BR, 3.5 BA Home w/ 4000+ sq. 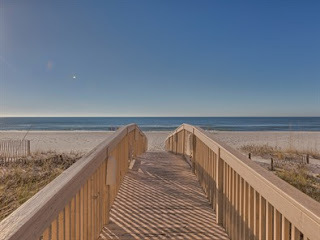 ft.
Grand Mariner condominium home for sale, Destin Florida Real Estate with amazing panoramic-views of Destin’s white-sand beaches and the emerald waters of the Gulf of Mexico. This luxury resort residence has 4000+ s.f. and has been designed in a true contemporary and artistic style. Ideally situated a private-gated beach in the area, this is a rare opportunity to own an exclusive beach residence in Destin Florida. This beachfront home has an open floor-plan with marble floors throughout, high ceilings, an abundance of natural light with modern lighting. A private elevator, gourmet kitchen and a recently remodeled master suite combine to provide a sense of tranquility difficult to find in a beachfront condominium; this luxurious real estate also has a private bar and 1,500 sq. ft. balcony, making this truly a one of a kind home – come experience the best in coastal living, come see this stunning Destin home… Destin Florida In Destin Florida, the Heart of the Emerald Coast, you can choose between exclusive resort homes to laid-back beach get-a-ways, this coastal city with a humble beginning as a small fishing village is now an immensely popular tourist destination.